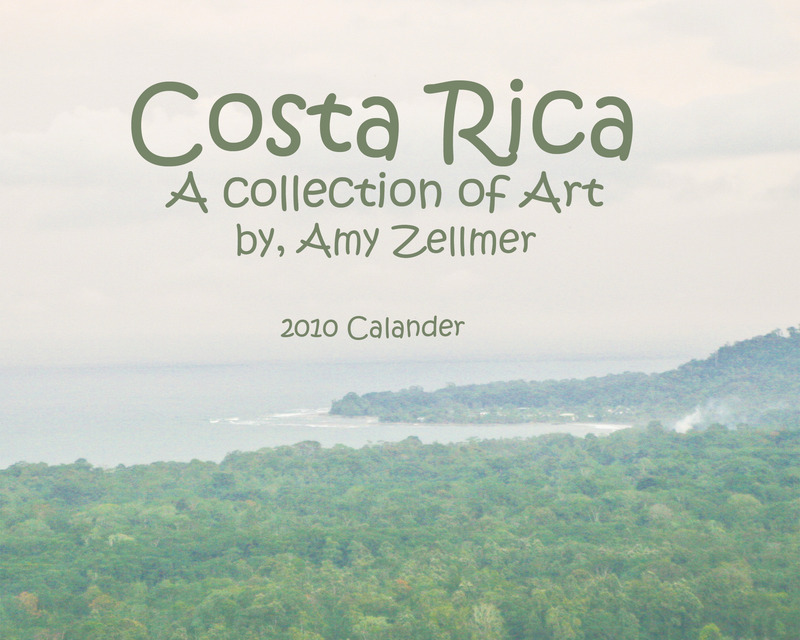 Costa Rica Fine Art Calander on sale NOW! Costa Rica Fine Art Calander on sale NOW!! Get your 2010 calander NOW before they are gone! For only $30 you can enjoy 12 months of jungle paradise!! The calander features 15 of my fine art images from my trip to Costa Rica, printed on high quality fine art paper. Please email me your order: amy.zellmer@customcreationsphotography be sure to include the quantity you would like. These calanders make excellent Christsmas presents, and I will even hand sign the cover for you and add a personalized message if you like!! Please allow 5-7 days for delivery! Posted in Uncategorized | Comments Off on Costa Rica Fine Art Calander on sale NOW!